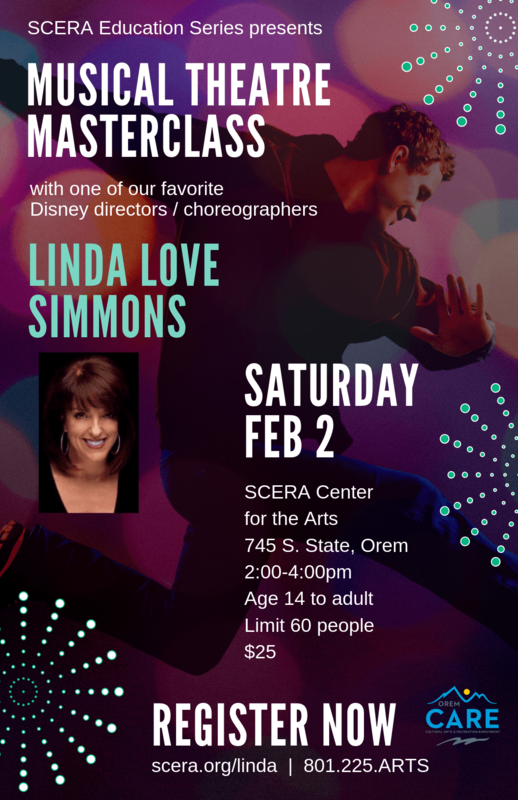 LINDA LOVE SIMMONS has over 40 years of experience as a professional dancer, choreographer, and show director at not only the Disneyland Resort but for such entities as The Radio City Music Hall Rocketts, Holland America Cruise Lines, Oakley, Under Armour and Mattel. Her award winning choreography has been seen in such musicals as 9 to 5, Swing, The Producers, Legally Blonde and A Chorus Line. For Disney, Linda is the show director and choreographer for The Disneyland Band, The All American College Band as well as the show director for the Animation Academy. While continuing her career as a director and choreographer, her inspirational style has led Ms. Love-Simmons to exciting endeavors that have reached off the stage and into the classroom as the Director of the Youth Education Series and Disney Performing Arts. In this role, Linda has created educational workshops with content driven to inspire and motivate students of all ages towards the pursuit of excellence. She has partnered with performers, producers, and Disney Imagineers to develop programs with subjects ranging from team and personal leadership, to the introduction to mechanical physics on roller coasters to dance, theater, music and technical theater workshops. Her team consists of over 40 trainers, 250 facilitators and 35 teaching artists who inspire the next generation of leaders performers and Imagineers. There is passion and excitement in everything Linda does. She is known for her ability to develop creative working and learning environments by inspiring those whom she teaches or trains to strive for their very best, and encourages them to dwell in the realm of possibility.